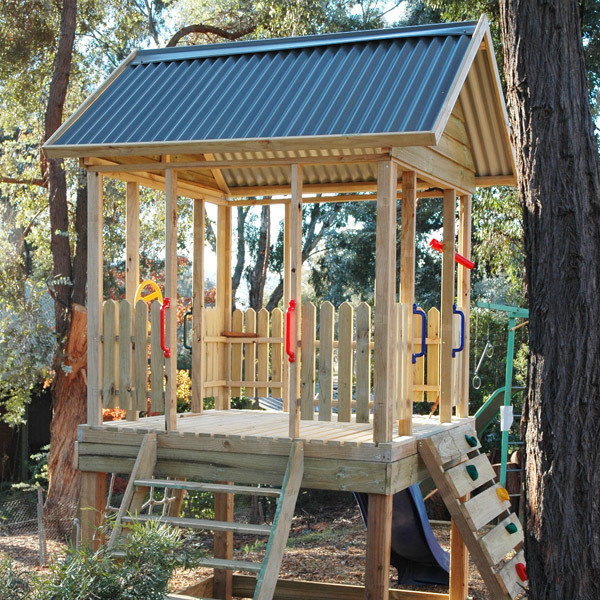 The Fort is elevated to 1.5m, has a 1.8 X 1.8m treated pine deck, picket fence side walls and a Colorbond roof. 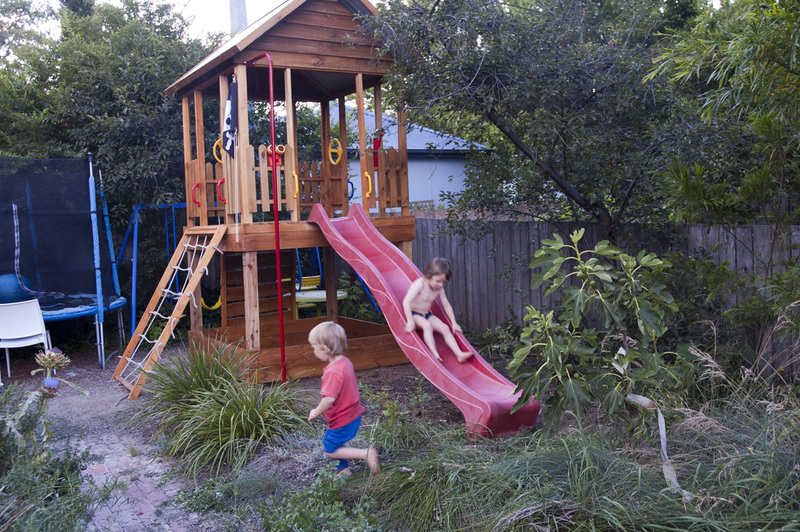 Elevation is on 100 X 100mm Cyprus Pine posts and it comes complete with a 3.1m wave slide – your choice of red, blue, green or yellow and either a rock wall or climbing net. 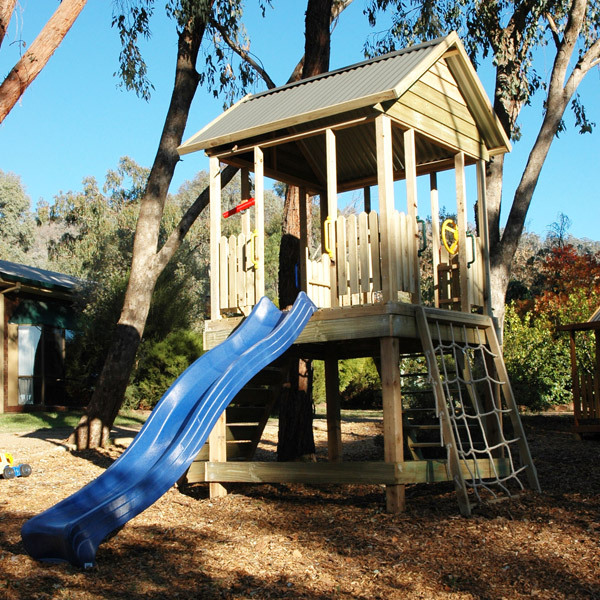 It comes with a Colorbond roof – your choice of colours from the Colorbond range and 300mm coloured plastic hand grips at the top of the access ladder, rope net or a rock wall and slide. 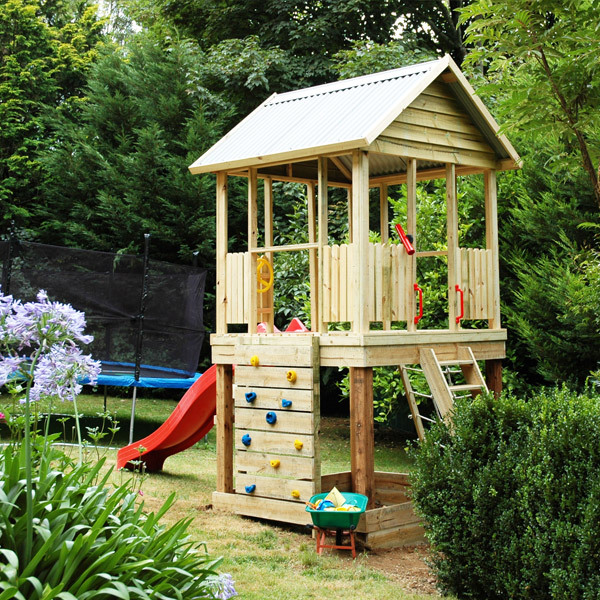 The Grand Fort like the Fort is elevated to 1.5m with a 1.8X1.8m treated pine deck. 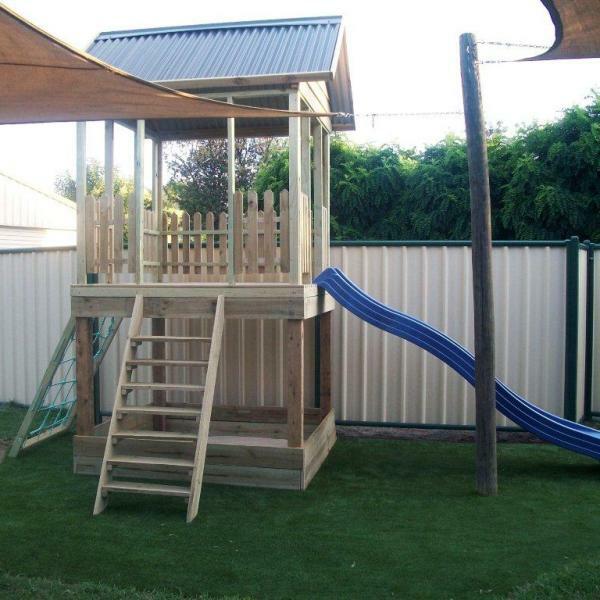 It has picket fence side walls and a Colorbond Roof with your choice of colours from the Colorbond range. 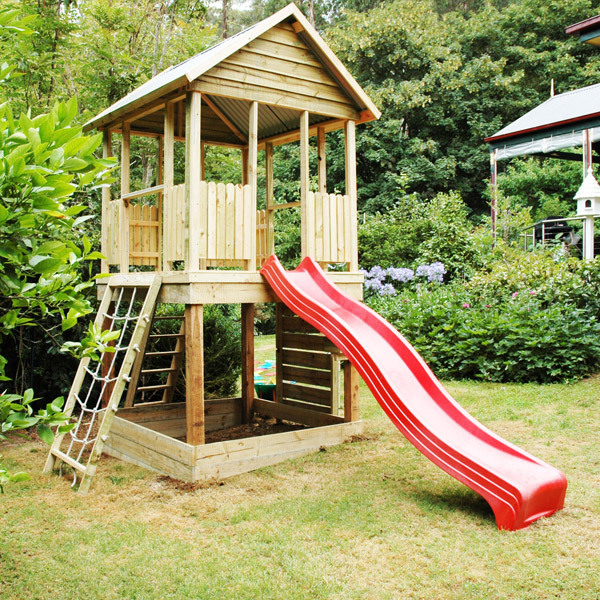 Elevation is on 100 X 100mm Cyprus Pine posts and it comes complete with a 3.1m wave slide – your choice of red, blue, green or yellow – attached to an additional 0.7m side platform with picketed fences. 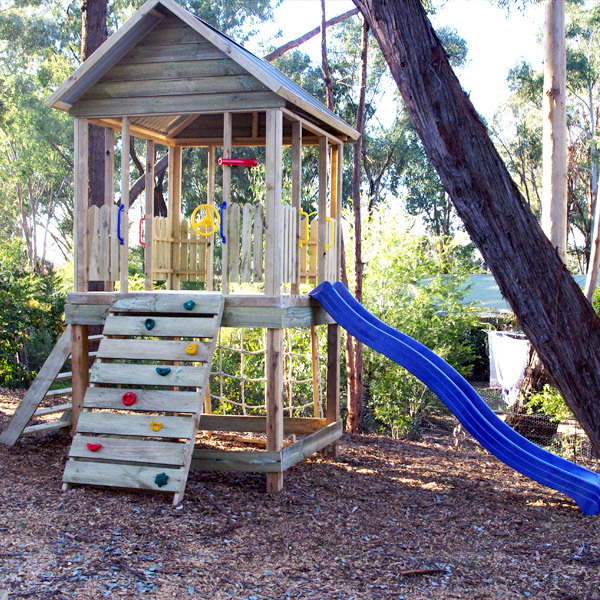 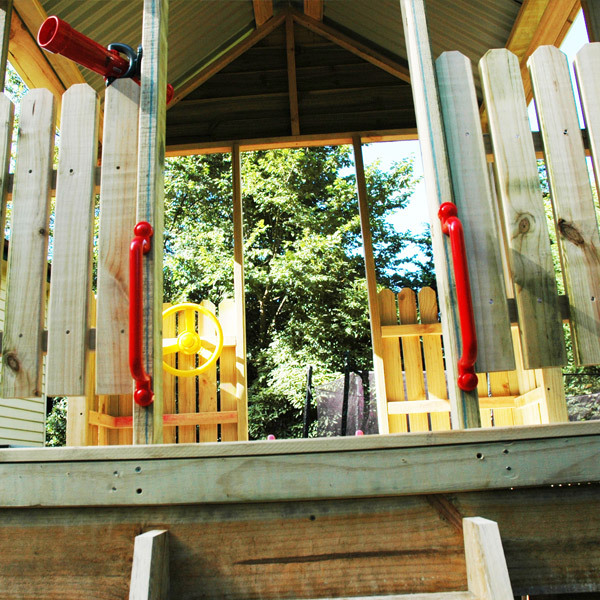 There are 3 sets of coloured handles above the ladder, slide and rock wall or climbing net. 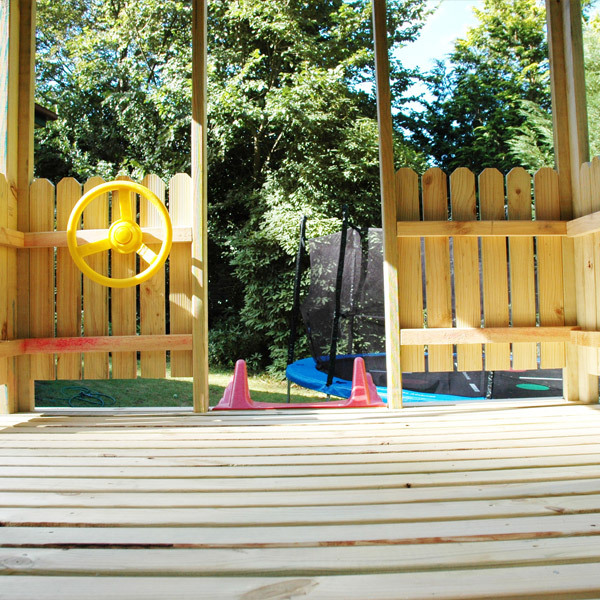 To top it off, you can choose from either a rock wall or climbing net and either a steering wheel or a telescope. 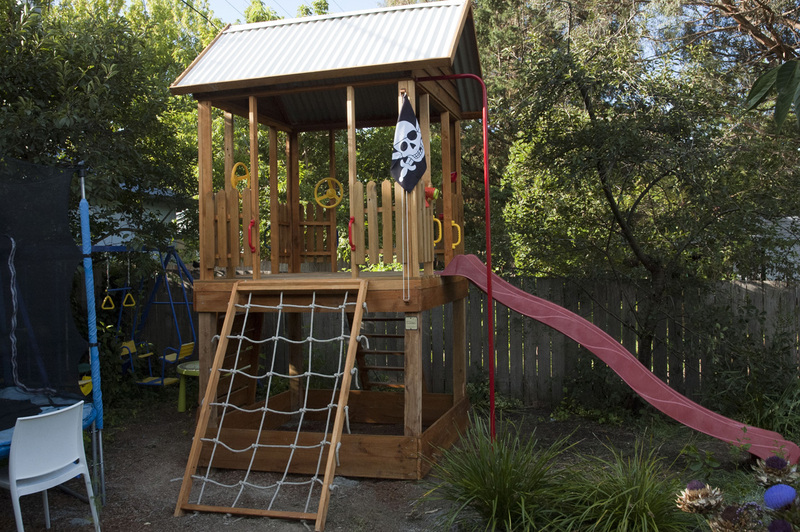 Please note our Forts can be upgraded to include many options and variations including those below.